Riddhi Siddhi Minerals have exclusive agreements with Bauxite Mine owners for export of Bauxite from Gujarat, Orissa and Andhra Pradesh ports in bulk quantity. Bauxite Mines are located in Jamnagar, porbander in Gujarat state (near port is Okha ) and khujam, Jodipat, chirodih etc in Jharkhand state ( nearer ports are Haldia /pardeep / Visakhapatnam ). In 2010, SGX Minerals started operations of Bauxite mines at Gumla districts of Jharkhand. 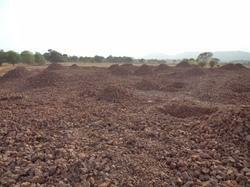 Our organization is highly involve in offering a wide spectrum of Bauxite Lumps. These are naturally occurring mineral that is a mixture of aluminium, silica, iron oxide and many other minerals. These are sourced from the reputed vendor of the market and are known for their high strength. We are the leading firm of Calcined Bauxite Lumps. Grade: Alumina 30 to 35 or your demand, iron 45 to 60 or your demand . We are recognized as one of the leading manufacturers, exporters and suppliers of a broad collection of Bauxite Lumps. Our Bauxite Lumps are sourced from best mines of the country which ensure their quality. Our range of Bauxite Lumps is broadly used in various industries due to their quality and effectiveness. Bauxite Lump with all types of qualities i.e. chemical grade, cement grade, abrasive and refractory grade varying in composition of alumina percentage from below 40% upto 55%. 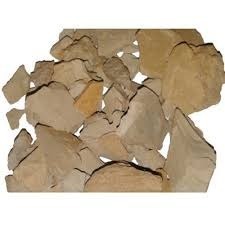 The Mineral is best suited for manufacturing of Alum. Capitalizing on our rich industrial experience and ultra-modern infrastructure, we make available a vast range of Bauxite Lumps. These lumps are classified according to the intended commercial applications such as metallurgical, abrasive, cement, chemical, and refractory. Price range: Rs. 1000 - 10000/ Metric Ton. As per the specific needs of the clients, we are engaged in providing a high quality range of Calcined Bauxite Stone.